Looking back at my last article, Parading Your Own Glory – The Consequences of Hezekiah’s Pride, we learned that King Hezekiah remained on the throne of Judah only through the providence and protection of Almighty God. Suffering from a disease certain to result in his death, Hezekiah pleaded for healing from God and was miraculously healed extending his life for fifteen more years. Additionally, God, and God alone, destroyed Assyrian King Sennacherib’s massive army of 185,000 warriors poised at the gates of Jerusalem in only one night causing Sennacherib to flee back to his home in Assyria where he would eventually be assassinated by two of his own sons. 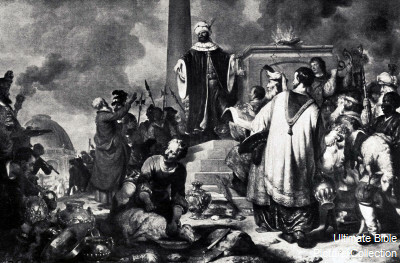 When Babylon’s King Merodach-Baladan heard about Hezekiah’s miraculous healing and the way that God delivered Jerusalem from certain slaughter by Sennacherib’s army, he sent envoys to Hezekiah with messages and gifts of congratulations. Instead of praising God for “His” deliverance Hezekiah bragged to the envoys about “his” accomplishments rather than those of Jehovah God. Hezekiah pridefully (and shamefully) exposed the entire contents of the treasury of Jerusalem and the Temple to the envoys. This vain and quite naive act by Hezekiah and other future serious transgressions by Judah’s leadership would eventually result in their final downfall and captivity in 587 BC to the Babylonian Empire. This article picks up with King Hezekiah still on the throne of Judah in the year 702 BC. It will discuss Isaiah’s warning from God to Hezekiah, explore the transition of the throne from Hezekiah to his son Manasseh, discuss some of the highlights of Manasseh’s reign and conclude with a life lesson especially for fathers. 2 Kings 21:1-18 – Manasseh was twelve years old when he began to reign, and he reigned fifty-five years in Jerusalem. His mother’s name was Hephzibah. 2 And he did what was evil in the sight of the Lord, according to the despicable practices of the nations whom the Lord drove out before the people of Israel. 3 For he rebuilt the high places that Hezekiah his father had destroyed, and he erected altars for Baal and made an Asherah, as Ahab king of Israel had done, and worshiped all the host of heaven and served them. 4 And he built altars in the house of the Lord, of which the Lord had said, “In Jerusalem will I put my name.” 5 And he built altars for all the host of heaven in the two courts of the house of the Lord. 6 And he burned his son as an offering[a] and used fortune-telling and omens and dealt with mediums and with necromancers. He did much evil in the sight of the Lord, provoking him to anger. 7 And the carved image of Asherah that he had made he set in the house of which the Lord said to David and to Solomon his son, “In this house, and in Jerusalem, which I have chosen out of all the tribes of Israel, I will put my name forever. 8 And I will not cause the feet of Israel to wander anymore out of the land that I gave to their fathers, if only they will be careful to do according to all that I have commanded them, and according to all the Law that my servant Moses commanded them.” 9 But they did not listen, and Manasseh led them astray to do more evil than the nations had done whom the Lord destroyed before the people of Israel. See also Isaiah 39, II Chronicles 32:33-33:20, Jeremiah 15:4 … not included here for brevity, but pertinent to the article. The Bible records little detail on the final fifteen years of Hezekiah’s reign. Other sources, such as those from the Jewish organization Chabad.org, indicate that Hezekiah’s final years were “peaceful and happy.” Chabad goes on to say that God’s blessings brought wealth in gold, silver and spices into Jerusalem along with the return of some of the Jews previously exiled. Chabad also states that the Temple was the only center of worship and the practice of idolatry was minimized seemingly concluding that all was well in Judah. But realistically, all was not well in Judah! Isaiah 39 records a prophetic encounter that took place between Isaiah and Hezekiah. In this encounter God specifically told Hezekiah through Isaiah that “the days are coming, when ALL that is in your house, and that which your fathers have stored up till this day, shall be carried to Babylon. Nothing shall be left, says the Lord. 7 And some of your own sons, who will come from you, whom you will father, shall be taken away, and they shall be eunuchs in the palace of the king of Babylon.” Hezekiah’s pitiful response to Isaiah response reveals the depth of his selfishness at this time: 8 … “The word of the Lord that you have spoken is good.” For he thought, “There will be peace and security in my days.” In other words, this won’t be my problem … why should I prepare anyone to deal with it … it is not going to happen on my watch … it will happen after I am gone through my descendants … so why should I worry about it? And he didn’t! Hezekiah had one son, Manasseh (meaning “to forget”), born in 709 BC. Manasseh, an ancestor of Christ (see Matthew 1:10) through David’s son Solomon, was an impressionable boy seven years of age when God delivered Judah from Sennacherib’s army in 702 BC. 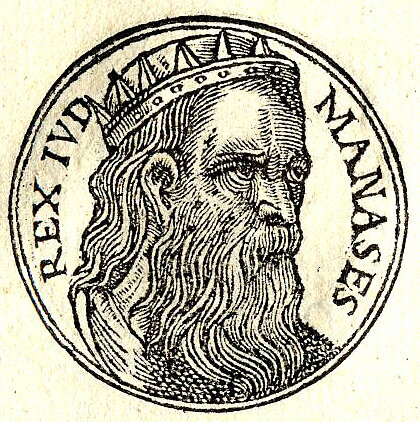 Five years later in 697 BC Manasseh became co-regent of Judah at the age of twelve. He served at his father’s side for ten years as an apprentice until Hezekiah’s death in 687 BC. He then became sole regent and would reign until 643 BC for a total of 55 years (2 Kings 21:1; 2 Chronicles 33:1). This was the longest reign of all of the Kings of Judah. History records that while Hezekiah was a “good” king, Manasseh was a “bad” king. So, what happened that led Manasseh to abandon the path of his father and be remembered until this day as a “bad” king? When Hezekiah died in 687 BC, Manasseh, now 22 years of age, did an about-face by reversing his father’s religious and political reforms. Manasseh dishonored God as many other kings had done (including his grandfather Ahaz) by forming unholy political alliances with surrounding pagan nations. He re-established the worship of their powerless pagan gods … even placing their idols in the Temple! Manasseh’s fall into paganism and the adoption of the religious practices of his enemies ultimately led to his capture by the Assyrians and his forceful captivity in Babylon (II Chronicles 33:10-11). In captivity and under great distress Manasseh finally repented as he “humbled himself greatly before the God of his fathers” (II Chronicles 33:12). God heard his sincere penitent prayer and returned Manasseh to Jerusalem where he went about reversing his evil practices. But it was too late for Jerusalem and Judah … as God told Hezekiah and now Manasseh … Judah will fall into complete destruction at the hands of the Babylonians. And they did! It is a bit of speculation on my part, but I have concluded, based on my study of the Scriptures, that Hezekiah failed Manasseh in his fatherly responsibilities. The lack of humility, obedience to God, and everyday selfish example set by Hezekiah before Manasseh during the final years of his reign were key to Manasseh’s failure as Judah’s leader. Instead of nurturing his son in the ways of the Lord in his younger years and preparing Manasseh for his sole reign as Judah’s king, Hezekiah simply stayed true to his own selfish ways. Under such circumstances there is little doubt in my mind that Manasseh concluded that his father was not interested in his future nor the future of Judah and that his best course of action was to make alliances with his enemies. Clearly this was the wrong decision. With Manasseh’s death in 643 BC six more kings would lead Judah as they continued on the path to their final destruction as a nation in 587 BC ending the line of Davidic kings. The links below will lead you to articles on each king. A once powerful and Godly nation was destined to fall because of their own sin and the sin of their leaders. Are we really that different from Israel and Judah? I don’t think so! 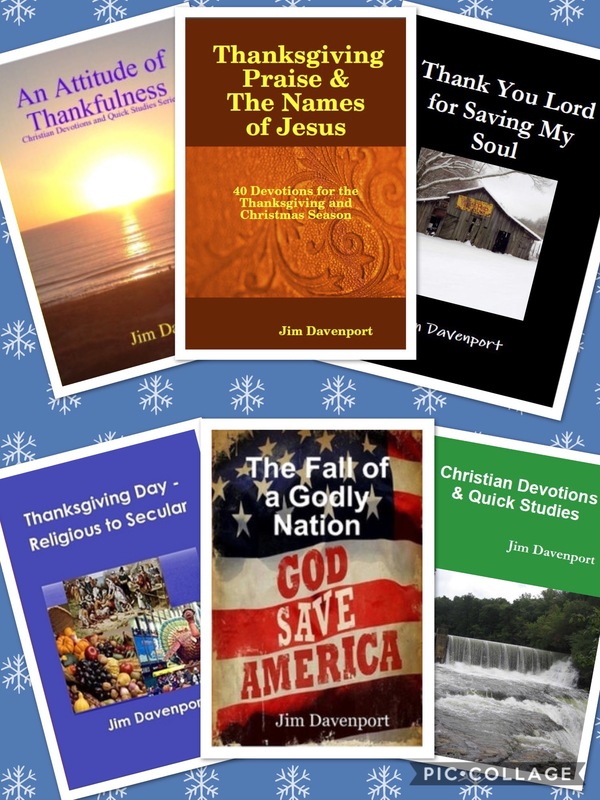 In days gone by the United States of America had a strong set of Judeo-Christian values. We point back with pride to our Christian heritage. Today that heritage is under attack from all sides. Christians are suffering mounting persecution in the open and free practice of their faith. Paganism is on the rise as rebellion against Almighty God continues to spread. Our nation has legalized the slaughter of millions upon millions of babies through abortion … much like the pagan practices adopted during Manasseh’s reign. We are creeping … perhaps even running … further and further from the worship of the one and only true God as we satisfy our fleshly desires. What we need as a nation is old-fashioned personal and national repentance. The examples provided by Israel and Judah outlined in this series of articles are ample warning that we, too, are headed for destruction as a people and a nation if we do not repent and turn to God. II Chronicles 7:14 provides the only real answer for us … “if my people who are called by my name humble themselves, and pray and seek my face and turn from their wicked ways, then I will hear from heaven and will forgive their sin and heal their land.” The key to healing our nation must start with the Christian. Christians must first humble themselves, pray, seek God’s face and turn away from their wickedness. 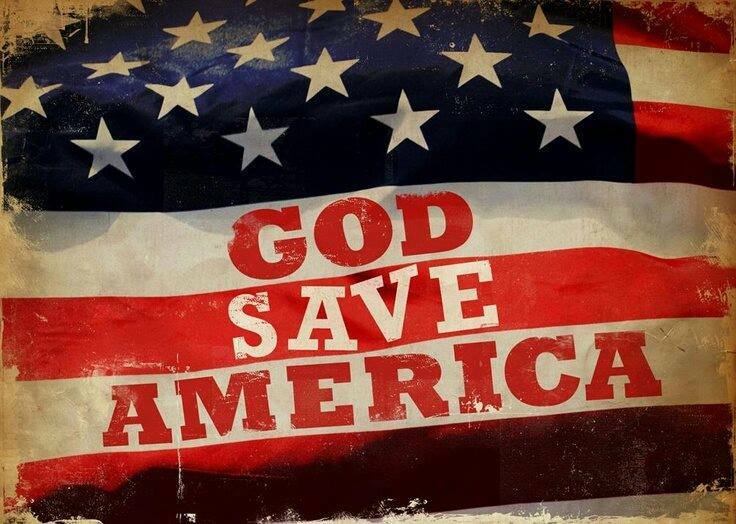 As the momentum grows our nation can be healed and spared by God. The Bible teaches that it is the responsibility of parents to provide spiritual training for their children. It is the parents job to raise their children in a manner such that they will conduct their lives in accordance with God’s plan, His will, and His purpose for their lives. As a result of such Godly training children develop a faith in God that will see them through the most difficult of times and prepare them to face the constant onslaught of Satan throughout their lives. Such lives honor God and strengthen not only the children’s faith, but the faith of communities, and ultimately nations. Children emulate the behavior of their parents. When a child observes his or her parents living according to Godly principles and not just talking about them, they will follow the parents’ lead. Likewise, when a child observes the hypocritical, selfish or lackadaisical behavior of the parent … where words do not match deeds … then confusion reigns in the mind of the child and destroys any positive effect of parental teaching. God has assigned a major priority to parents to personally provide spiritual training to their children during their formative years. Proverbs 22:6 (ESV) tells us, “Train up a child in the way he should go; even when he is old he will not depart from it.” Sadly, far too many parents neglect this portion of their child-rearing responsibilities, leaving most spiritual instruction to someone else. Children need daily spiritual instruction from their parents … “You shall teach them diligently to your children, and shall talk of them when you sit in your house, and when you walk by the way, and when you lie down, and when you rise” (Deuteronomy 6:7). In his sermon “Training Our Children,” Dr. Charles Stanley relates that parents are required to prepare their ” … sons and daughters to walk according to God’s plan, will, and purpose for their lives” … and “are to instill in them an unshakable faith that will protect them from the assault of the Devil.” You can view an excerpt from Dr. Stanley’s message here. The personal investment that parents make in the spiritual training of their children will directly affect the rest of the children’s lives. Spiritual training provides a strong foundation for building love and respect for God, purity, character, obedience, righteousness, reverence, integrity, morality, trustworthiness, loyalty, bravery, benevolence and many other desirable qualities. I am nearing the completion of this series of articles. One final article remains. The journey has been well worth it for me. I wish the same for you. This series will be available in eBook and paperback formats later this year. Gallery | This entry was posted in Bible Studies, Christian Devotions and tagged America must repent, Assyria, assyrian empire, Babylon, Bible, bible studies, Christ, Christian, christian devotions, Christian living, collective sin, deceit, evil, father responsibility, God, God Never Fails, God Save America, hezekiah, Isaiah, Isaiah 39, jerusalem, Judah, judgement, Kingdom of Judah, Lord, manasseh, Merodach-baladan, neo-assyrian empire, New King James Version, northern kingdom, Old Testament, peace and security, pride, Proverbs 22:6, rejecting God's law, revival, right, right choices, salvation, Satan, Satan's lies, sennacherib, sensitivity, Sin, Southern Gospel Music, southern kingdom, spiritual training, stand firm on your convictions, The Indwelling Life of Christ, train up a child, training children, trust, United States, woe to those who call evil good. Bookmark the permalink.